I have a great affinity for Marxist communism, and it hasn’t lost its strength despite the fall of the Russian-led communist countries. And while I had a small amount of sympathy for the Soviet-style communists, I could see that even taking into account Western propagandizing (and yes, there was a fair amount of this happening), the Soviet system was far from successful. Reading this book, I found myself growing increasingly frustrated by the fact that the American communist party let itself be set in lockstep with the Soviet leadership to the point of absurdity. Intellectuals were suppressed as being insufficiently proletarian and in service to pro-Soviet loyalty, the party took a number of absurd positions, the worst of which was the support of the Stalin-Hitler non-aggression pact (not to mention the willingness to turn a blind eye to Stalin’s atrocities). It seems clear to me that if communism is to have a future, it cannot be the top-down style of communism that was the end-result of Stalin’s victory over Trotsky (and is still the style of the current incarnation of the American Communist Party), but must be more bottom-up in its organization—more Catholic Worker than Daily Worker, so to speak. 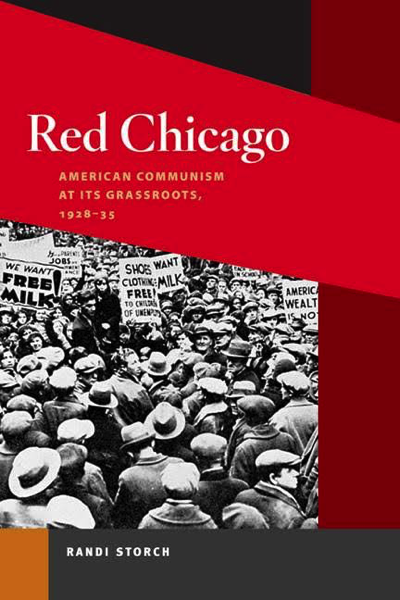 This book does give a reasonably good account of the history and sociology surrounding the Communist Party in Chicago, although I was disappointed in the rather short shrift given to the various ethnic branches of the party which were in many ways the lifeblood of the party in the 1920s. My father has a picture of his mother as a member of the Karl Marx Singing Society, and this sort of thing is almost completely ignored leaving me to wonder what other interesting aspects of Chicago Communism were also left out of the book.